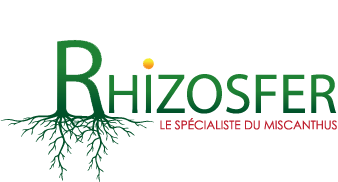 As a rhizomatous grass, the giant Miscanthus is an increasingly popular herb of the French farming community. In recent years, the agricultural sector has been making room for a new arrival: the elephant grass. It is definitely a safe bet in which to invest, as it offers advantages in various sectors. The industries surrounding this grass are gradually developing. As Miscanthus sellers, we look forward to be more involved in the progress of this market, by offering numerous services to the stakeholders of the agricultural sector. Our services range from the sale of rhizomes to the contracting of their production through support in the analysis of various elements prior to ordering, advice for a sustainable crop or monitoring of the plantation. How to set up a plantation of this type? In order to implement a sustainable cultivation of the Miscanthus giganteus, you need to equip yourself with the right materials. Farmers can turn to an agricultural machine specially designed for this type of plant or use a semi-automatic planter. With the latter, the spacing between the rhizomes will be determined by the machine itself. This method ensures uniform depth and planting distance. The cultivation of this grass has the advantage of sparsely needing phytosanitary treatment (fertilizers and other chemicals). It is evaluated at 1 or 2 IFT (Frequency of Treatment Index) for the first year of planting. The decaying of this grass allows the land to resupply with minerals and other vital substances for planting. In order to preserve a healthy cultivation for many years, it is also necessary to closely monitor the weeds, even if this plant has the advantage of being self-weeding.